Aimee McDonald is a GYROTONIC® and GYROKINESIS® Master Trainer, and STOTT PILATES Certified Instructor. A former STOTT PILATES Instructor Trainer for several years, Aimee was in the first pilates teacher training certification course at Equilibrium studio in Bloomfield Hills, MI, when it opened as the first STOTT PILATES Licensed Training Center in 1998. She opened The Movement Center in Downtown Ann Arbor in 1999 and soon after immersed herself in the study of the Gyrotonic work. Having had to travel extensively for her Gyrotonic training she became determined to make this training available to her community and those living throughout Michigan. Aimee’s Gyrotonic mentors have been numerous and generous, notably long time teacher and great source of support and guidance, Juergen Bamberger. Aimee has also been fortunate to have so many opportunities to work with creator of the Gyrotonic system, Juliu Horvath. Aimee’s early STOTT Pilates teachers include Cherie Boschma and Moira (Stott) Meritthew. 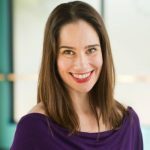 In her many years of teaching, Aimee has gained extensive experience and knowledge working with diverse populations and issues, including dancers and athletes of all disciplines, prenatal and postpartum, shoulder, neck, back, and knee issues, chronic pain, fibromyalgia, older populations, scoliosis, and general fitness. Aimee holds a BFA in Dance from The University of Michigan.